I realize that it’s almost October. I realize that, depending on where you live, you might not be able to spend time on your patio again until springtime. But I also realize that this set of outdoor chairs is $150 off. And that is worth mentioning. These two premium zero gravity recliners normally cost $200. They are the definition of all-purpose furniture, as they can be used on your lawn, at the beach, by the pool, pretty much anywhere. 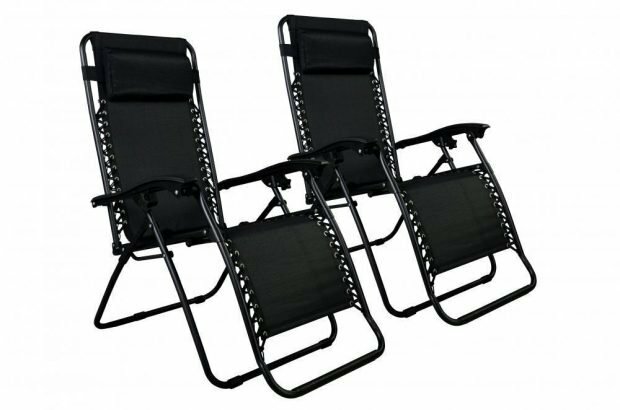 They are “made from the finest surface materials to make you comfortable combined with sturdy lightweight steel tubular frames.” Furthermore, “as you rotate back into the zero-gravity position, the outdoor recliner cradles your spine in a stress-free position.” Best of all, you can get this set of two right now for just $50.